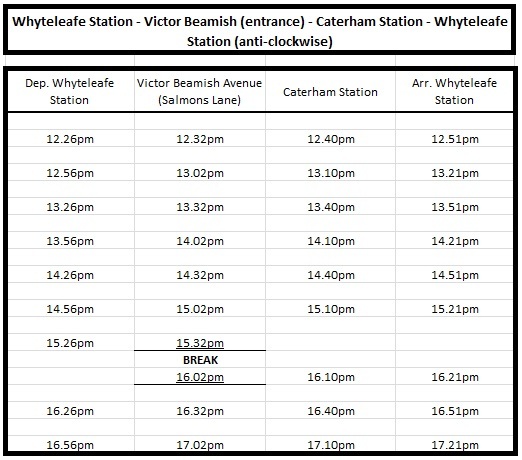 Whyteleafe station bus stop is to the east of the level crossing close to the roundabout at the junction of Whyteleafe hill and A22. Towards the level crossing (anti-clockwise) and towards the roundabout (clockwise). Victor Beamish Avenue bus stop is located on Salmons Lane (both directions). 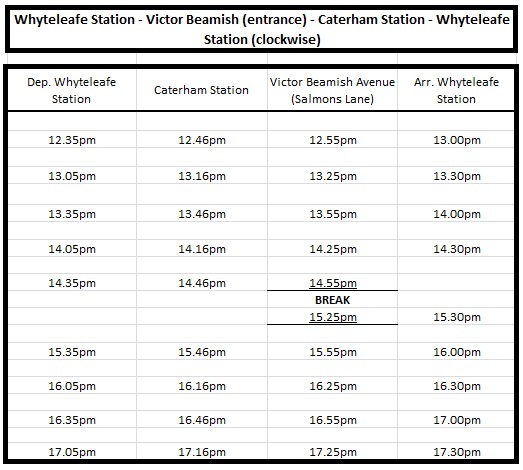 Caterham station bus stops are located directly outside the train station by Waitrose (anti-clockwise) and Lloyds bank (clockwise).